This last few months of gaming have been kind to retro co-op games, and I can think of a few warm-n-fuzzies I've felt recently. 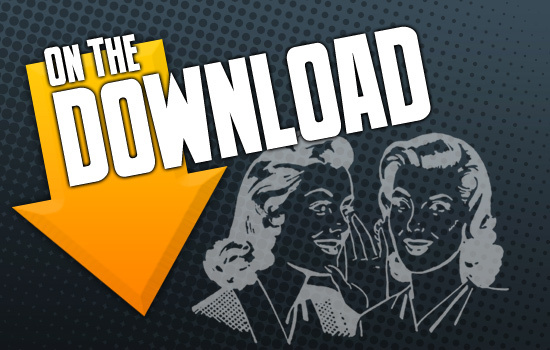 This weeks On The Download will aim to spark a mushy retromance with some of the recent vintage downloadables. We also want to hear what you'd like to see remade or given a proper sequel with Co-Op. Nothing is off limits. The official On The Download picks for great co-op games remade, rearmed, and HD'd is as follows. Serious Sam HD: The First Encounter. Serious Sam is a PC classic shooter that makes good use of written and vocalized humor, campy storyline with a wide variety of crazy monsters, and up to an astonishing 16 player co-op for the PC version. This game had an interesting port, when Sam met consoles for the first time. The aiming, which is normally done with a mouse, was loosened up a bit for us on the Xbox LIVE Arcade making the experience a very clean port. We took home 4 player co-op, and a riot of a good time playing with friends. 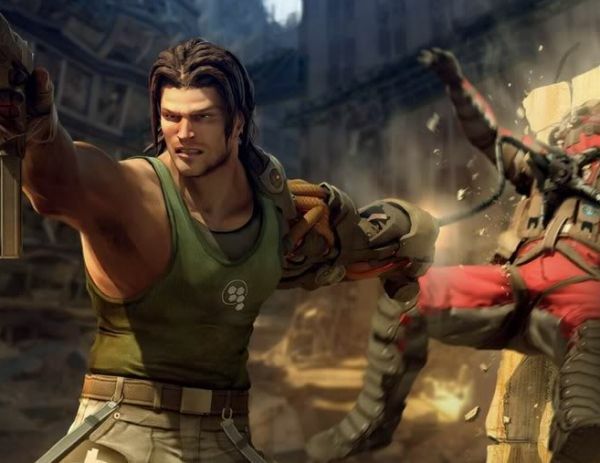 Next on the list, Bionic Commando: Rearmed shot it's way to the Playstation Network, XBLA, and PC in 2008. This classic side-scroller got a high def. makeover, and wow'd fans of the original. Though the game features local co-op only, it was still a lot of fun to see brought back to life. I'll be planning a keg party for some of these local co-op classics remade to pay my respects - even though the last time I played Bionic Commando I was wildly underage. 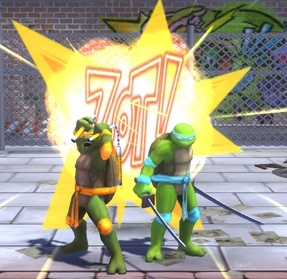 Finally for our co-op retromance montage, Turtles in Time Reshelled. Certainly a title worth playing, Turtles in Time: Reshelled allows players to revisit one of the most beloved Turtles games from the SNES. A few minor changes may urk a few players, including absenteeism from Bebop and Rocksteady, may hinder the experience - but consider sharing it with a kid who is unfamiliar with the exact basics, a fan of Secret of the Ooze (Bebop and Rocksteady were replaced by Tonka and Razar), or a friend you played the original with so you can complain about it, even if they live across the country. 4 player online and local co-op brings gamers together over long distances, but may also make an appearance at a co-op keg party. Castle Crashers for honoring most of the Teenage Mutant Ninja Turtles and Simpsons arcade brawlers of my youth. Matt Hazard: Blood Bath and Beyond for covering our Contra and Bionic Commando cravings. And finally, Assault Heroes for being the spiritual successor to the original Spy Hunter, and bringing cars with rockets vs. helicopters and other violent cars some Co-op love. We love you, retro games! Even if you blind us with your shiny nostalgia, and sometimes turn out to be worse than we remember. Now Can we have Goldeneye (with better aiming, plz) and Duke Nukem?! Okay, your turn! Let us know which Co-op retro, or retro-style games you play. Or, which of your favorites would you like to see make a triumphant return with an High Def. makeover. Comment below and duke it out (or, challenge some of mine). Page created in 0.6177 seconds.